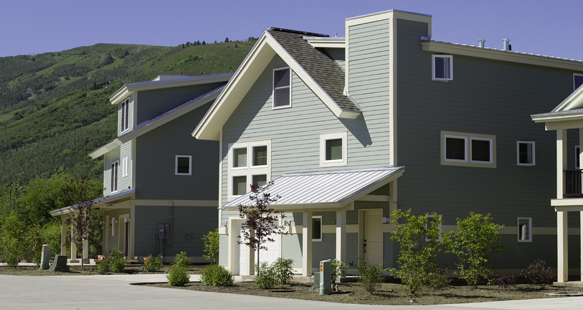 An affordable housing complex with 10 three-bedroom and three two-bedroom homes is the newest addition to Park City, Utah. 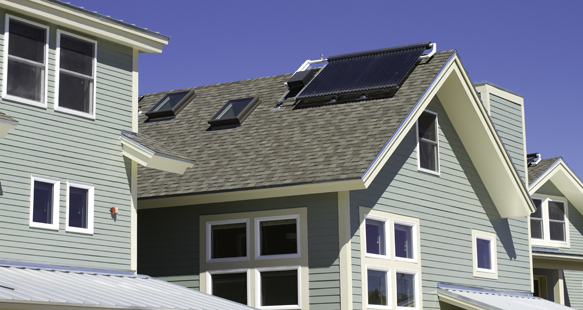 The project is built to LEED requirements with geo thermal HVAC, solar hot water and solar power. 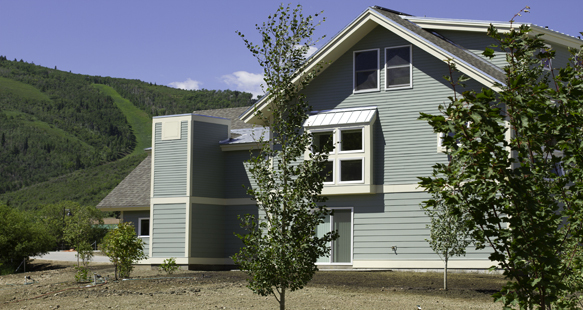 The cottages were constructed using SIPs, structurally insulated panels, in both walls and roof. More difficult to construct, SIPs require a high degree of coordination to cut the chases for electrical and plumbing before they’re installed. Each cottage has a minimum of six solar panels hooked on the roof and the outside walls to power heat and cool as well as offset the main electrical power. 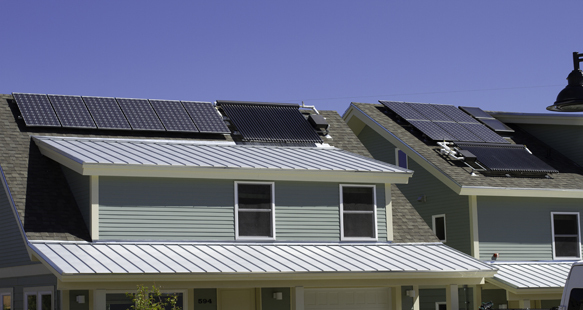 Each home is able to generate up to 40 percent of their power using the photovoltaic panels. 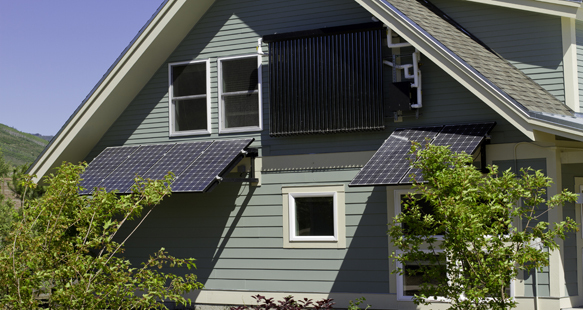 All hot water is solar generated. The project required R&O to drill down a hundred plus feet from where the cooling is brought to the house. ABC Utah Award winning project.